Who gets 8 hours of sleep on the regular? Retired people? For the rest of us, freakin’ life gets in the way: kids, school, Netflix catch-ups, dogs who have to pee at 3 a.m., work schedules that are far from 9-to-5... Thankfully, caffeine is there for us, powering us through rough mornings, and hopefully reviving us from our near-zombie states. But are we consuming it properly? 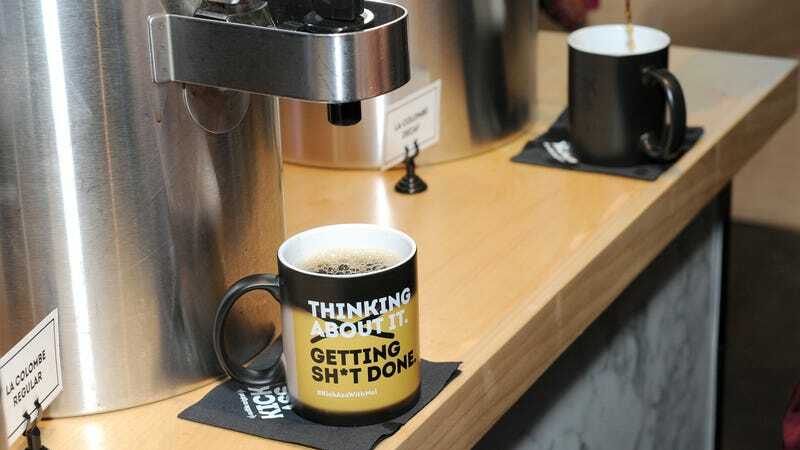 U.S. Army researchers recently published a study detailing their “caffeine dosing strategies” that optimize caffeine intake based on a person’s sleep schedule. The program uses an algorithm to determine the precise best timing and dosage of caffeine for optimum alertness. Outlined in a study in the Journal Of Sleep Research, the algorithm is designed “to safely maximize neurobehavioural performance at the desired time of the day, under any sleep‐loss condition.” Researchers started with something they call the unified model of performance (UMP), a mathematical model that predicts the effects of sleep loss and caffeine, as a function of time of day, on a person’s performance on “psychomotor vigilance tasks.” (I think that’s science-talk for Stuff You Need To Concentrate On.) So here’s how researchers tested their algorithm: A computer model spit out an optimal caffeine-intake schedule, which the researchers compared to the baseline UMP. The team ran thousands of simulations of different sleeping schedules and dosing times. They found that the following the algorithm’s caffeine-dosing schedule resulted in a 64 percent improvement in performance, keeping the total amount of caffeine consumed constant. Whoa. That means that I could be drinking the same amount of coffee every day, but if I spaced it out properly according to some algorithm, I’d be 64 percent better at tasks? Yep. “Alternatively, a subject can reduce caffeine consumption by up to 65 percent and still achieve equivalent improvements in alertness [by following the algorithm’s dosing schedule],” senior author Jaques Reifman told Science Daily. Because sleep-waking schedules vary between people and even within a certain person’s week or month, there’s no one-size-fits-all caffeine-intake schedule that the researchers can recommend. There is an online tool people can use to input their own data and get an algorithm’s recommendations for caffeine intake, but I was completely baffled by its interface and gave up after 30 minutes. I’ll try it again after this next cup of coffee.